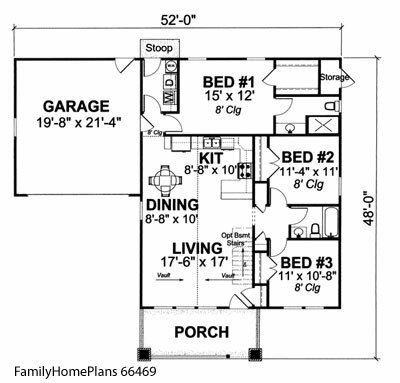 Bungalow floor plans can vary in both style and features. 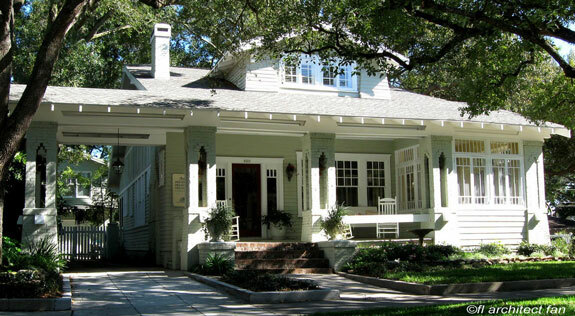 Bungalow style homes, by their nature, exude warmth and charm. 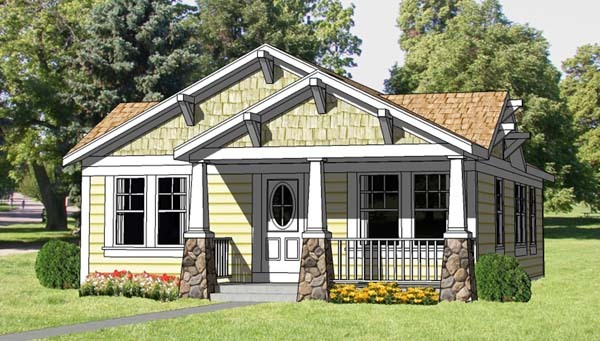 With everything on one level, Arts and Crafts bungalows, as they are also called, are ideal for just about everyone. 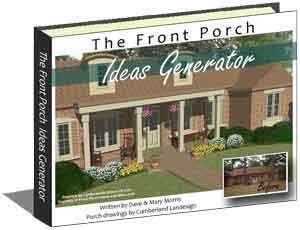 Couple that with fantastic porches and you'll easily have the home of your dreams. Mary and I enjoy driving through neighborhoods full of bungalow houses; they are just so appealing to the eye and one of our favorite home styles! 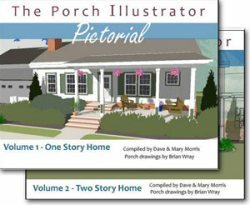 You just want to relax on their porch and watch the world go by. Which of these bungalows do you love? 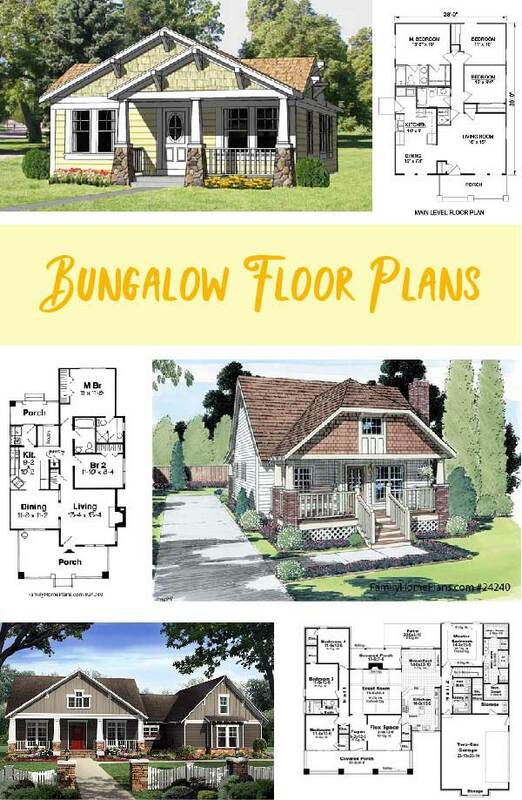 We hope you enjoy relaxing here as you browse the bungalow style house plans we've gathered for you from Family Home Plans. Who wouldn't love calling this place home? 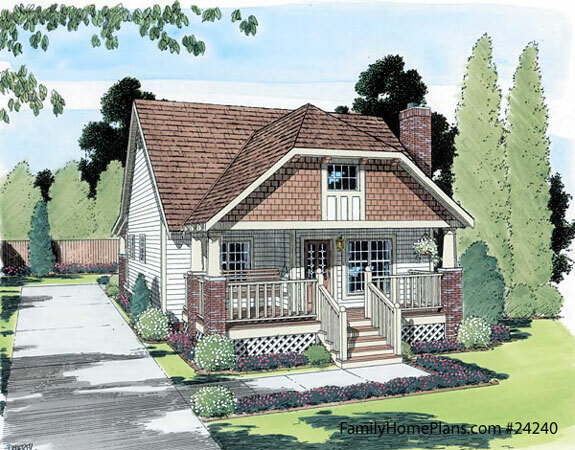 And even a covered porch on the back with gas logs for those cozy chilly evenings for family time. 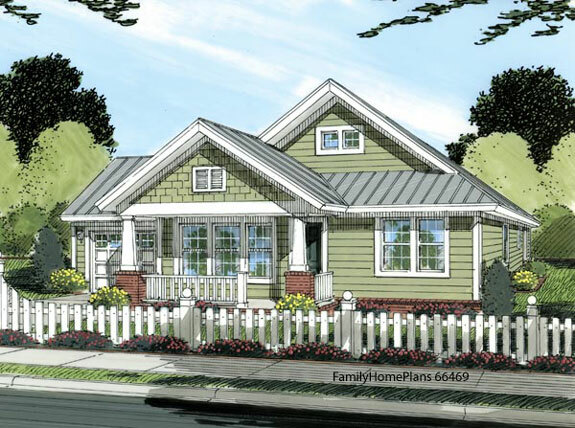 Bungalow style homes usually have only a single story but can also include partial second floors or loft areas. 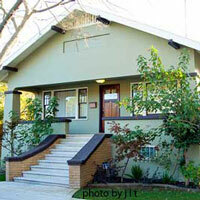 The distinct style of a bungalow is its low profile. Absent are vertical bungalows although some have been raised with higher foundations. A second-floor bungalow is often referred to as an "airplane" bungalow as it has the appearance of a cockpit protruding from the roof. 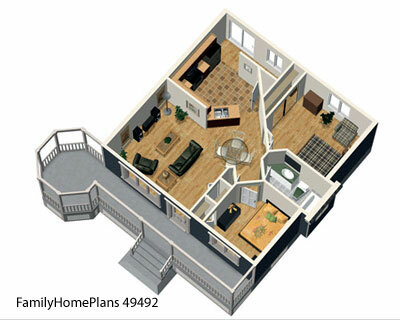 Bungalow floor plans are popular because of the convenience of having all the main living areas on the first floor. They are also extremely well-suited for those with limited mobility. 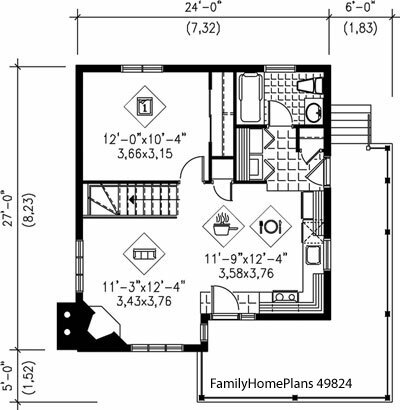 Floor plans come in a wide range of sizes to fit small and compact lots to larger plans that take advantage of more extensive lot sizes. 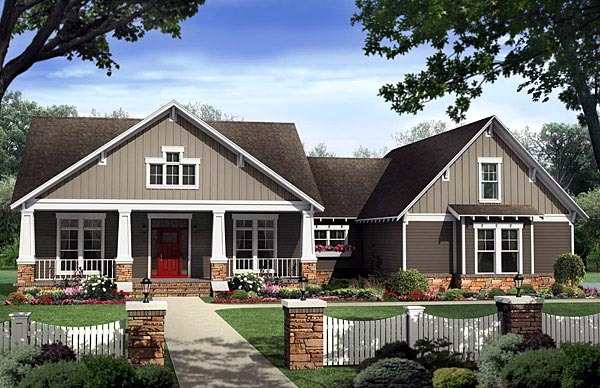 That means that craftsman bungalow house plans are idea for any type homeowner – young or old, single or married, large families or small. 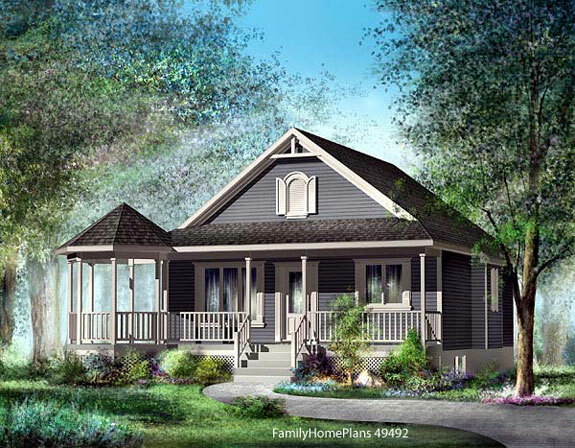 Smaller bungalow houses will be designed for very efficient use of all space, typical in original bungalow designs. Most will have built-in's everywhere! 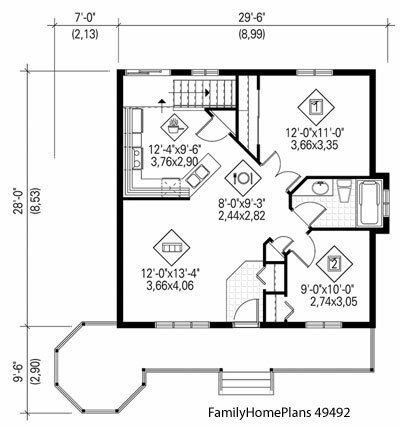 Family Home Plans graciously let us show you a few of their many bungalow floor plans. 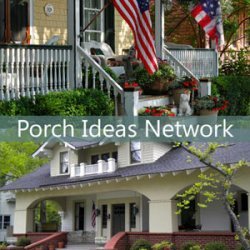 All have great porch designs and if you are like us, we like seeing the possibilities. 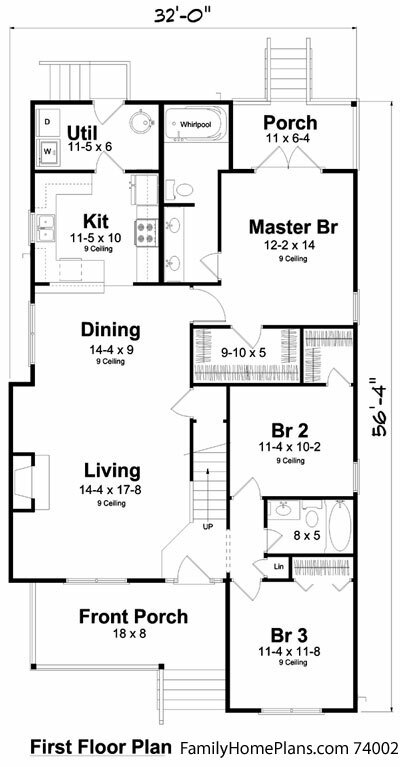 Such an adorable bungalow floor plan with 1064 square feet including 2 baths and 3 bedrooms. 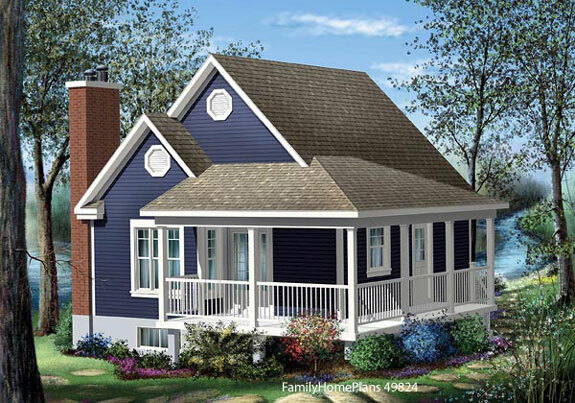 Even an adorable porch is included in this sweet home! 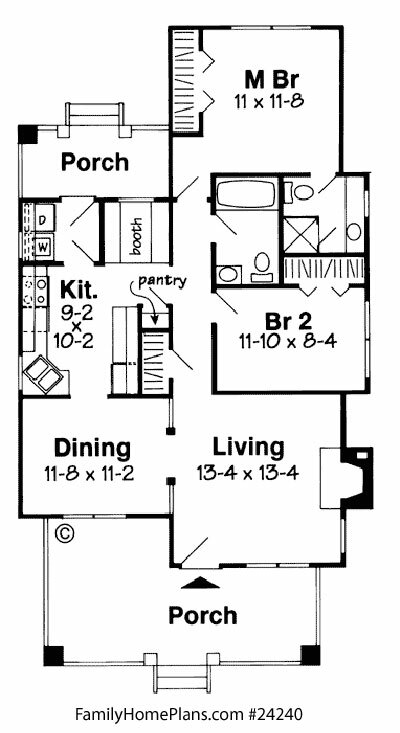 Bungalow designs and floor plans are not limited by strict designs. 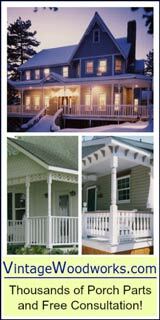 Over the years, bungalow architecture has evolved and you can find styles in Queen Anne, California, Mission, Tudor, Prairie, Foursquare, Colonial and Spanish Colonial, Cape Cod, and of course, Craftsman. There are others as well. 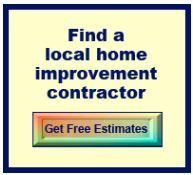 Each has their specific characteristics, from the location of the front door to the size of the front porch. 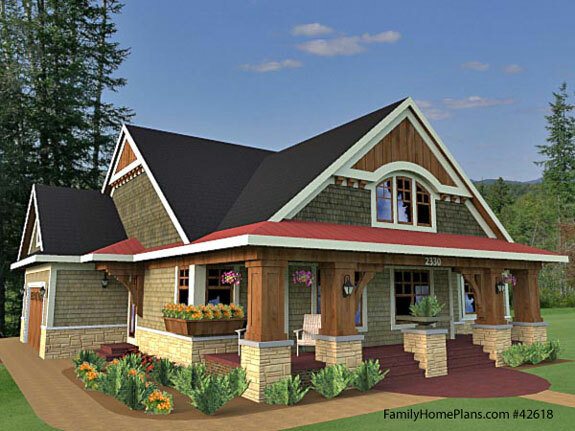 Craftsman bungalow floor plans would include built-ins, a fireplace, wide over-hanging eaves, and plastered ceilings. Queen Anne's on the other hand, will typically have art-glass window designs, a parlor, along with wallpapered walls. 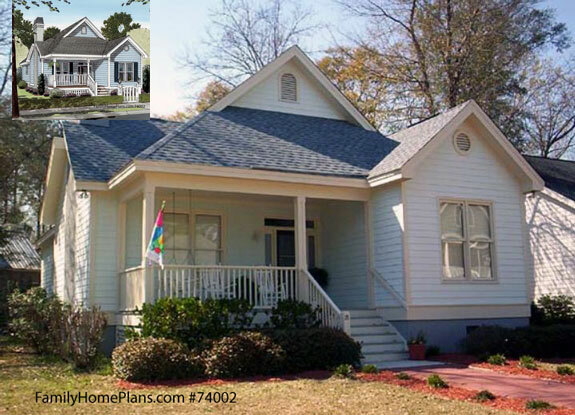 This classic bungalow home is 1260 square feet with a nice 128 square foot porch. 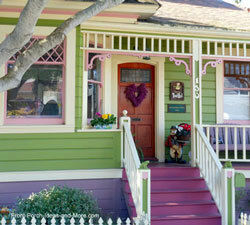 A very charming wrap around with 240 square foot porch; the home is 613 square feet. 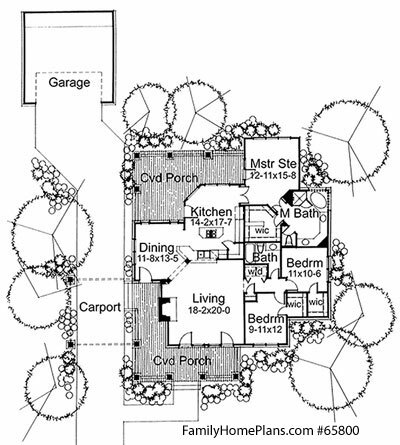 This bungalow has a large veranda with a pergola roof. 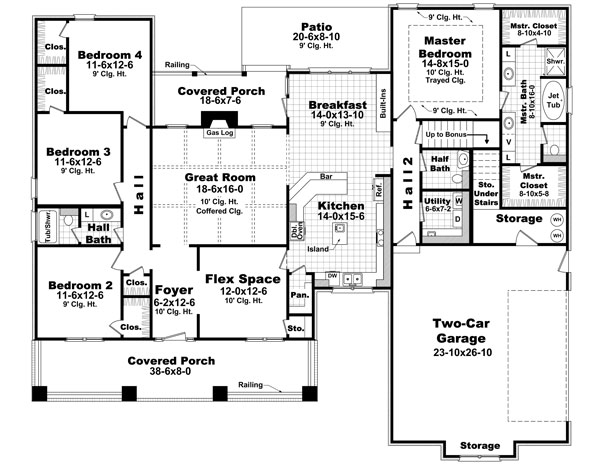 The home is 794 square feet. 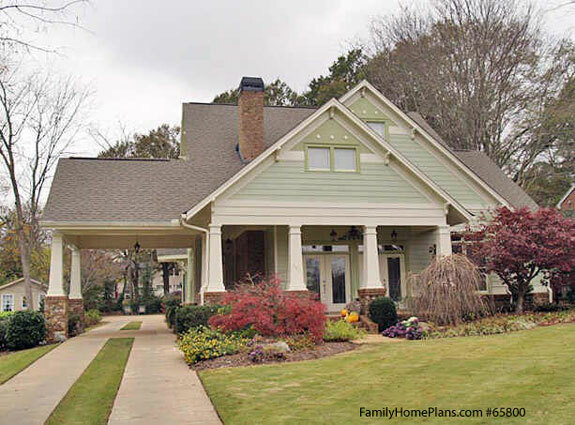 This classic Craftsman bungalow has a 574 square foot front porch. 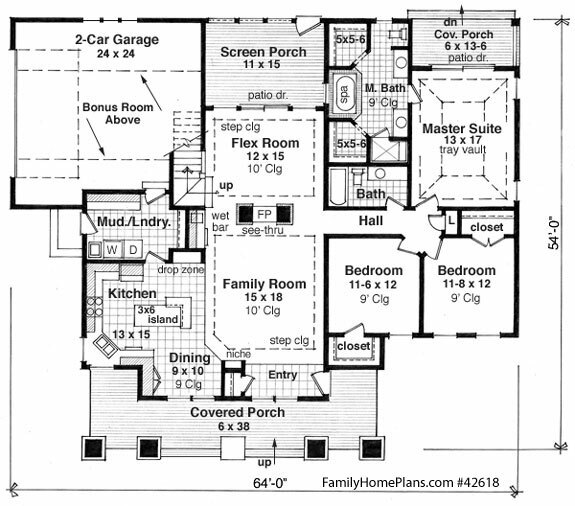 The home is 1657 square feet. 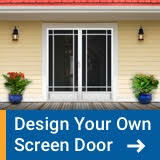 Have fun finding the perfect plan for your bungalow home. 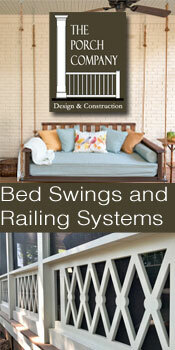 Love Your Bungalow! Send us a photo of your bungalow and we'll share it with others. 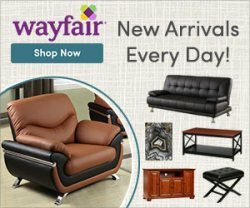 Live in a bungalow neighborhood? Let us know and we may very well "go on the road" to visit!